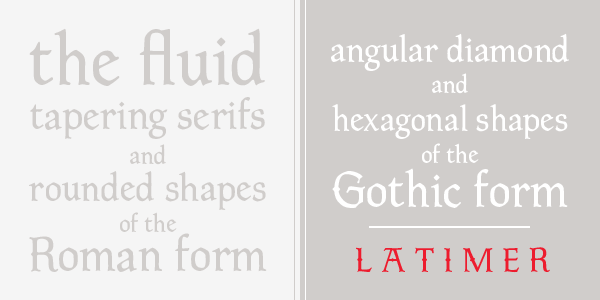 As with a few other Goudy faces, this is a "Gothicized" Roman. 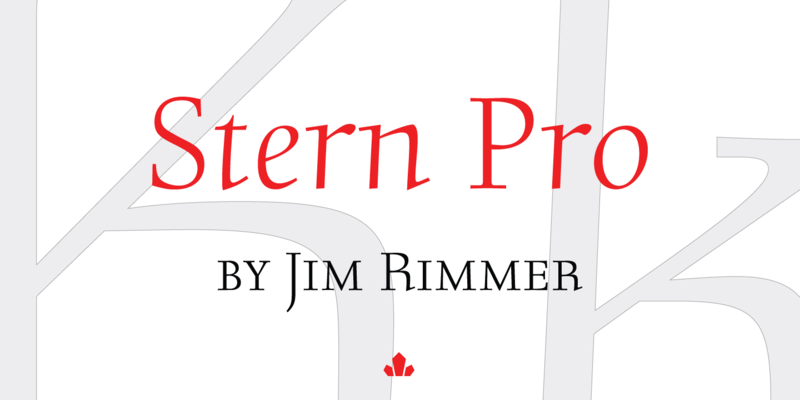 This design originated as a private press type for a "college in the West" but the commission fell through. 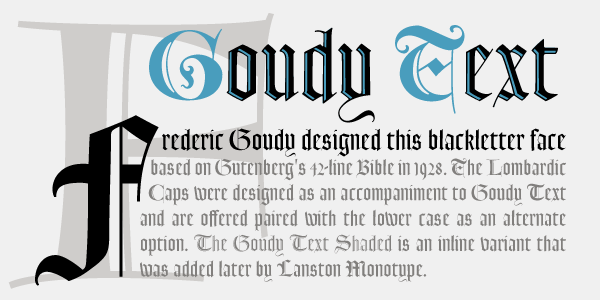 Lanston Monotype has suggested to Goudy that they might release a font after he "passed on" with the predetermined name "Goudy Thirty". 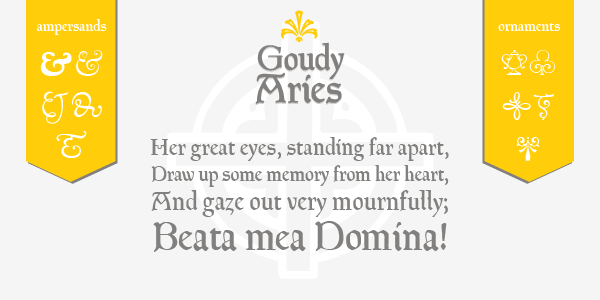 Goudy Thirty was designed in 1942, Goudy died in 1947 and the face was released in 1953. The unusual number relates to 'Thirty' as the newspaper trade term which means 'end of story'. 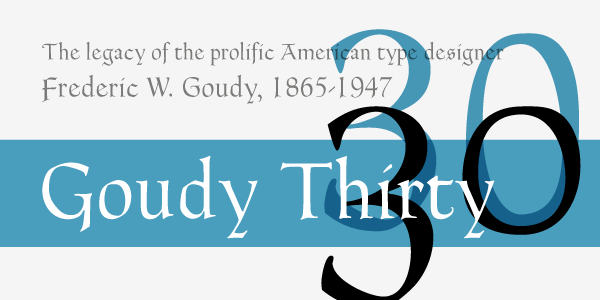 There are two variations of Goudy Thirty. Both feature ligatures and both variations are available combined as one OpenType Pro font which also features a full Central European character set.